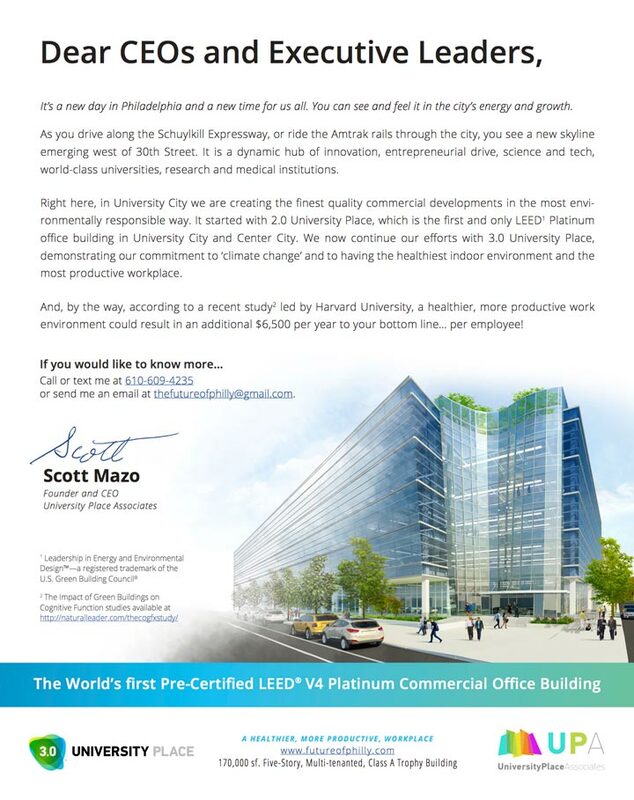 These three letters were published one by one for the 3.0 University Place advertising campaign in the following local newspapers: Philadelphia Business Journal, Chestnut Hill Local, Mainline Times and Metro Chinese, throughout April and May of 2017. 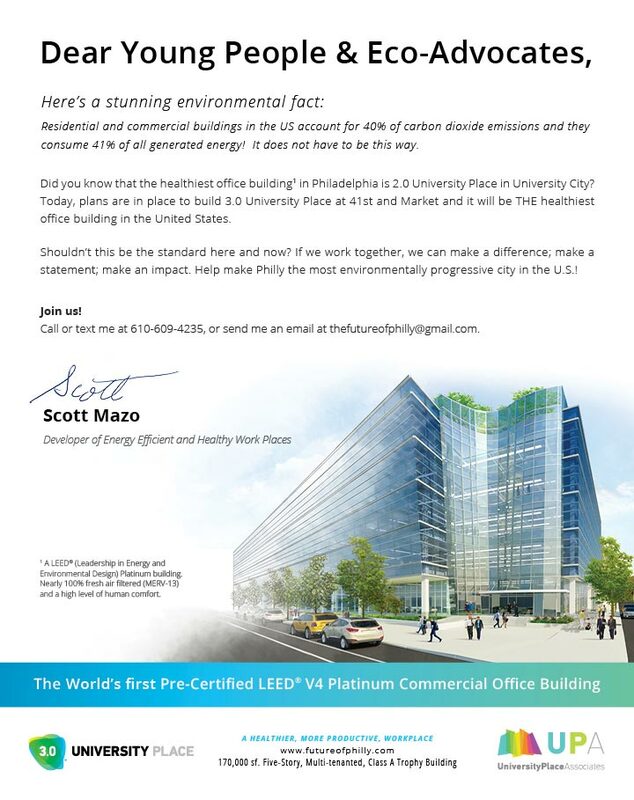 The purpose was to create awareness of the UPA brand together with the building itself, highlighting the technological and environmental commitment to excellence and the importance of a healthy work environment. In September of 2018, following the recommendations from the Urban Design Study of The Platinum CorridorⓇ that was conducted by Perkins+Will, UPA decided to engage The Sheward Partnership for a redesign of the building, were both the retail and lab/office portions of the buildings were designed to exude the principles of sustainability, community and innovation. To see the most current version please click here.